West Monroe, LA: On TJs, the factory rear springs are mounted in a "leaning forward" position, which causes the coils to bow rearward once the Jeep is lifted, and especially during suspension compression. This incorrect coil loading results in lost ride height and a diminished "too soft" spring rate. Off-road performance particularly suffers: When hillclimbing, too much weight transfers to the rear, lightening the front. The more the rear coils compress, the more they lay down -- and the farther back the rear axle moves. The result is a falling-over-backward feeling. Basically, the rear coils' capacities fade when they're needed most. The new Coil Correction Kit from Superlift's Black Diamond division now allows lifted TJs' rear coils to function in their optimal up-right position, restoring diminishing spring rate. 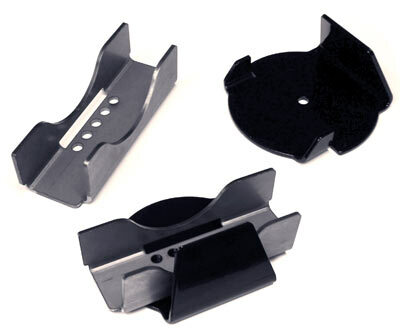 The kit includes weld-on frame brackets and replacement upper coil seats. Components are made from precision laser-cut quarter-inch-thick steel, and the coil brackets are finished with a durable black powdercoat. The frame brackets have five adjustment holes, permitting the coils and compression travel-stops to be in the optimal up-right position, even with wheelbase increases of up to 2 inches. 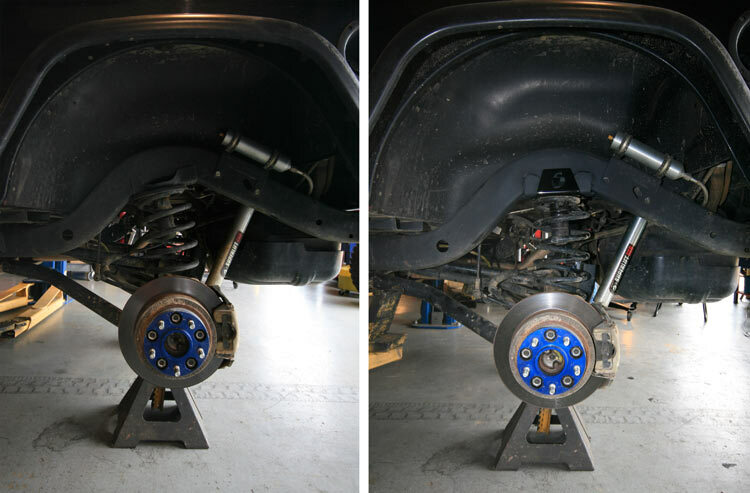 The Coil Correction Kit works with any lift height and any brand suspension lift. Superlift backs the Coil Correction Kit with a limited lifetime warranty. TJ and Unlimited/LJ owners will immediately feel the advantages of the regained spring rate after correcting their rear coils. For more information, see your nearest authorized dealer or call 800/551-4955 to speak with one of our sales and tech support staff or contact Superlift Suspension Systems, 300 Huey Lenard Loop Rd., West Monroe, LA 71292, 800/551-4955 toll-free, 318/397-3040 fax, www.superlift.com.